Portable infrared heaters are quickly gaining popularity as consumers try to manage rising energy costs better. By using zone heaters to keep certain most-used areas warm and comfortable, the main home's heating system can be turned down resulting in an overall decrease in energy costs. Infrared heaters are just one type of efficient electric heaters. Infrared heat warms objects in the room (rather than the air), so space feels more comfortable, longer. Portability is key - wheel the infrared heater where you need it most. There's no installation; simply plug into a standard household electrical outlet. Save money by turning down your central heating system and using a zone heater to warm a certain space. They're pricey so research brands and read infrared heater reviews. Long-life quartz bulbs will defer replacement costs, but you might pay more up front for the unit. Returns/refunds are not always honored as expected; some refunds are pro-rated. A 1500 watt heater should have a dedicated plug-in. Infrared is a proven efficient heating technology, but individual brand heater efficiency is uncertain. Infrared heaters differ in construction, materials, and efficiency. While you should reap some energy savings, don't be swayed by claims of 50% energy savings which may be grossly overstated. Infrared heat is a comfortable warmth, not a dry heat. They are bulky, though some are more stylish than others. Infrared heat has been compared to sun rays that warm the skin. Warranty periods tend to differ among brands. Read more in Infrared Heaters - What is an Infrared Heater? 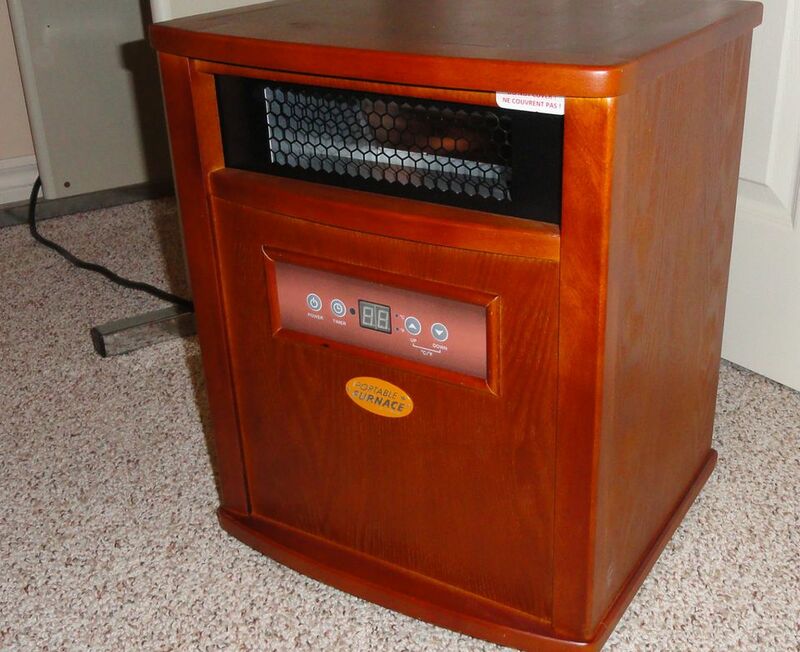 If you do buy an infrared heater, please come back and write an infrared heater review.